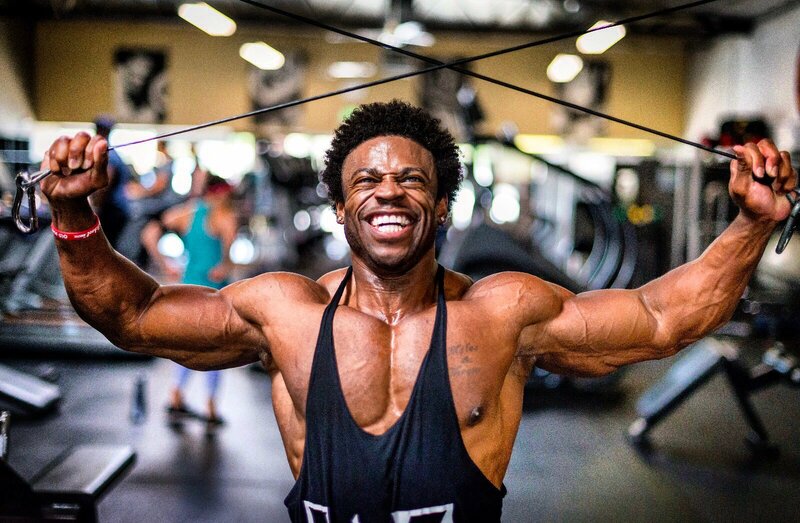 Home » OSL Blog » Breon Ansley: Ready To Take The Olympia! It’s not easy catching up with Breon Ansley. But, we recently talked with the busy Classic Physique superstar about his dramatic victory at the New York Pro. And, how he’s preparing to live up to his billing as the favorite to win the 2017 Mr. Olympia on September 15 in Las Vegas. Ansley cemented his reputation as the athlete to beat with his resounding win over a spectacular lineup at the New York Pro Championships on May 20. That’s when he overcame a challenge from George Patterson, a tremendous competitor from Jamaica, New York, who pushed Ansley. But, the former college running back with the infectious smile had dialed in his condition to an unbeatable polish. 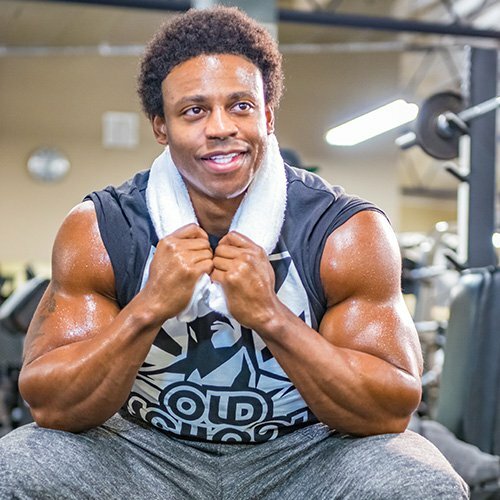 Breon Ansley, who is also an actor featured in numerous television commercials, has been an IFBB pro since 2013. He competed in the 212-pound division but switched to Classic Physique last year and hasn’t looked back. Congratulations on your victory in the New York Pro. You beat an extremely challenging lineup. Who did you see as your biggest competition? Well, nobody would blame you. 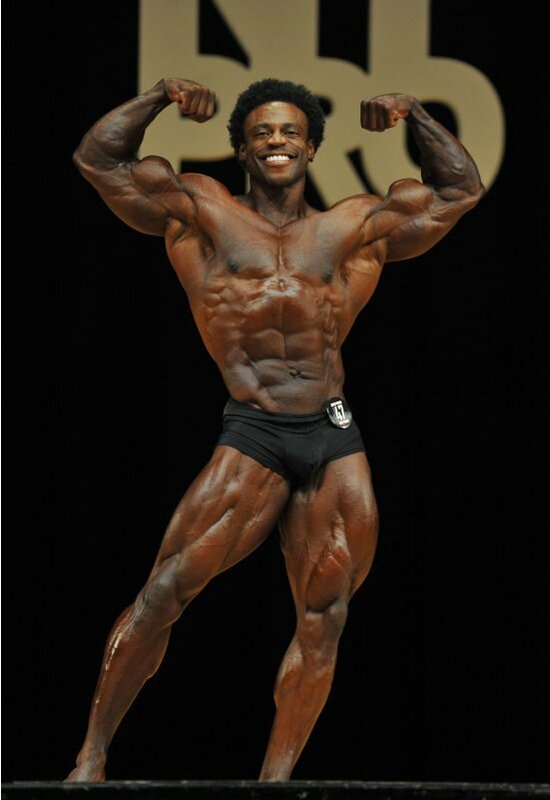 Do you think that the Classic Physique division has brought new energy to the sport? Oh absolutely. 1,000 percent. Because now the common guy, the common fan, whether a teenager or older, can say that’s a look that I’d like, that I could possibly achieve. You still have the mass monsters, sure. There’s still the wow factor of it, and that’s all great and I admire it, but the Classic division is going to grow. It’s really going to be popular. Do you find that some of the guys who aren’t currently in Classic Physique are giving it a second look? Absolutely. I think a lot more of the physique guys are going to go up into Classic because they want to showcase their whole body a little bit more. What Classic does is really play up the art form of bodybuilding, like a painting, how pleasing everything looks, and how everything flows together. Are you definitely doing the Olympia? Without a doubt, yes. I wouldn’t miss it for the world. Do you have your plan down on how you’re going to approach it? The plan is to come in sharper with more details, with an even smaller waist. I think that will be the winning package, because I already possess enough muscle to stand up against anybody. So I just want to sharpen everything, to make everything more detailed, make everything more prominent. You used to be in the 212 division. Why did you switch to Classic? I am also in the entertainment business, and walking around with this [lesser] weight and carrying the type of muscle for Classic is just better for me to be fluid with other things than if I played the mass monster game like I did before. It would cut me off from other opportunities and make me less marketable. Is it better for your all around lifestyle? Absolutely. Healthier, you know, and just better all the way around. Did you have to change your training for Classic division? Yeah, just slightly. I still train hard. I still train heavy, but I’ve taken out certain exercises like rack pulls, deadlifts, and squats to keep my weight very streamlined for purposes of my waistline. I still do stiff-legged deadlifts and bent over rows, but I’ve taken out those other three exercises. What sort of ab training do you do to keep like your waistline nice and tight, and not too thick? When I do cardio, I’m squeezing my abs all the time. When I practice posing, I practice twisting my torso to enhance the effect of a V-taper. When it’s time to really hunker down in contest prep, like maybe 11 weeks out, I train abs every single day, non-weighted. So the combination of squeezing while I’m doing cardio, doing abs after cardio, and just watching myself at the dinner table helps. What is your nutrition plan like as far as whole food? It’s pretty much high protein, a lower carb diet, a higher fat diet, and staying consistent even precontest. As I get closer to the contest, I put it over the top and get a little bit more aggressive by taking the carbs out all the way to go keto [ketosis]. I do that for about three or four weeks, but other than that it’s pretty much just high protein. Tell me about your supplement regimen. I really like the Old School Labs preworkout Vintage Blast. It’s a two-stage pre-workout, so it helps me keep my stamina throughout the whole workout, which is great when you’re on a low carb diet when your energy levels are low. I take Vintage Blast a few times a day starting with before morning cardio, before lifting, and sometimes when I do cardio at night. I use a quarter scoop in the morning, half a scoop in the afternoon, and a scoop in the evening. I really love Vintage Base, the multivitamin with probiotics. I take the Vintage Build with the BCAAs and creatine, but I don’t use it too much during my cutting phase because of the creatine aspect. But I got back on it recently now that I can build my strength up just a little bit more as my food intake is increased. And I also use Vintage Boost for the energy from the anabolic catalyst. That one I love, because it’s very important during the cutting phase to stay anabolic, to help keep the muscle while your burning body fat. What’s the best social media page for people to follow you? I’m on Instagram (@breonma_), and on Facebook it’s just regular Breon Ansley, all lower case. My e-mail is on my Instagram bio. You can DM me on there. 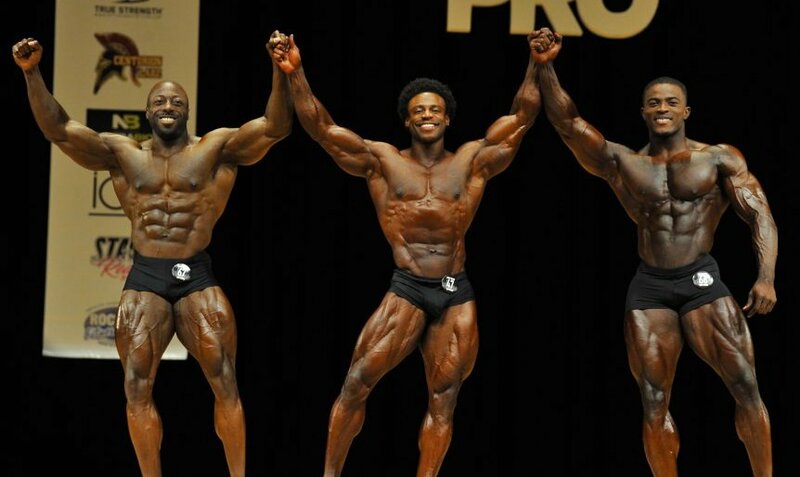 Do you think Breon Ansley will win it all at the Olympia, or will another top-level Physique star pull an upset? Let us know what you think in the comments below!